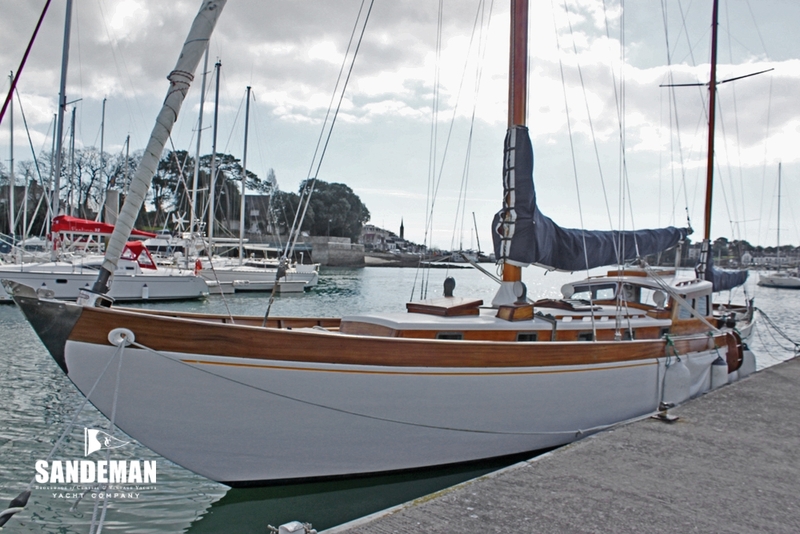 As with Jack Laurent Giles’s Vertue design, ISMANA displays that purposeful charm blending style with function as only he knew how – a style that has the onlooker captivated; more subtle than the very long overhangs that seduce so easily and far more seaworthy as a result. 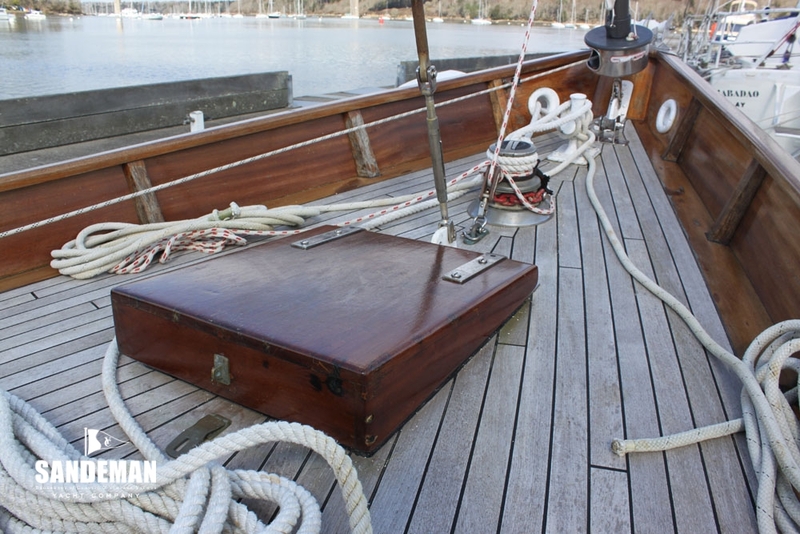 He was a clever man was Laurent Giles. 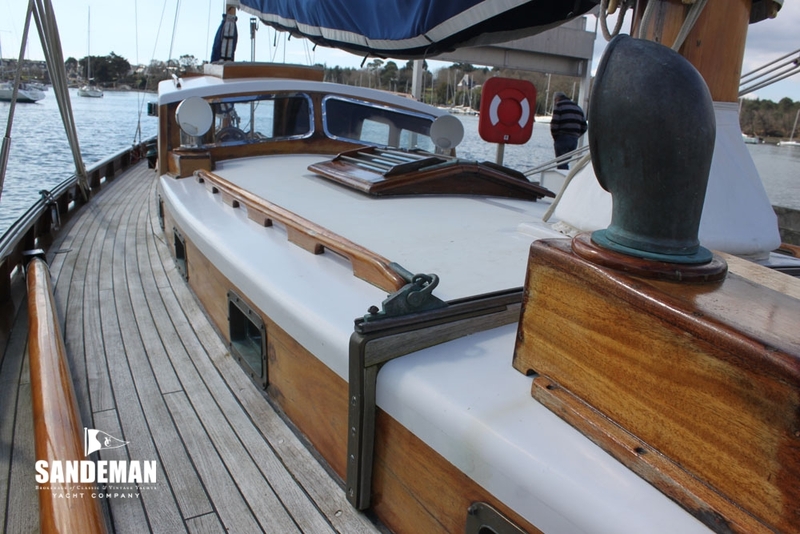 ISMANA’s current owner has fully restored her with the help of Hubert Stagnol and he seems to have known exactly what he wanted to achieve. 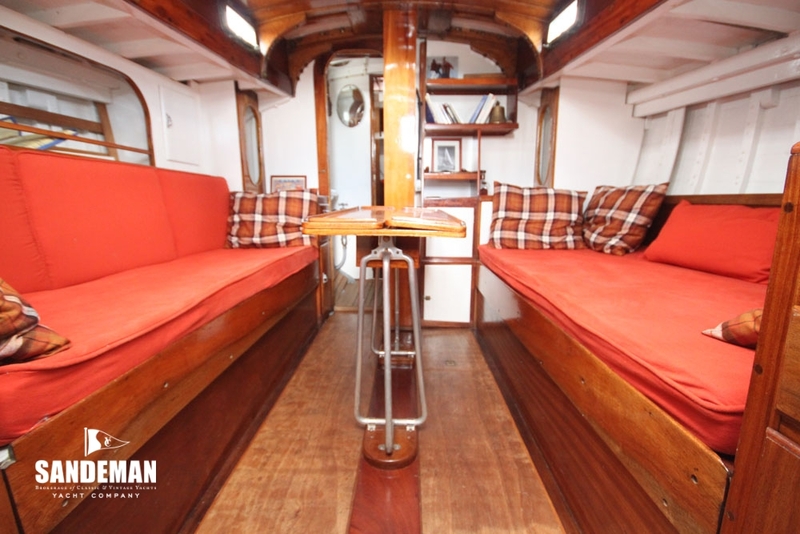 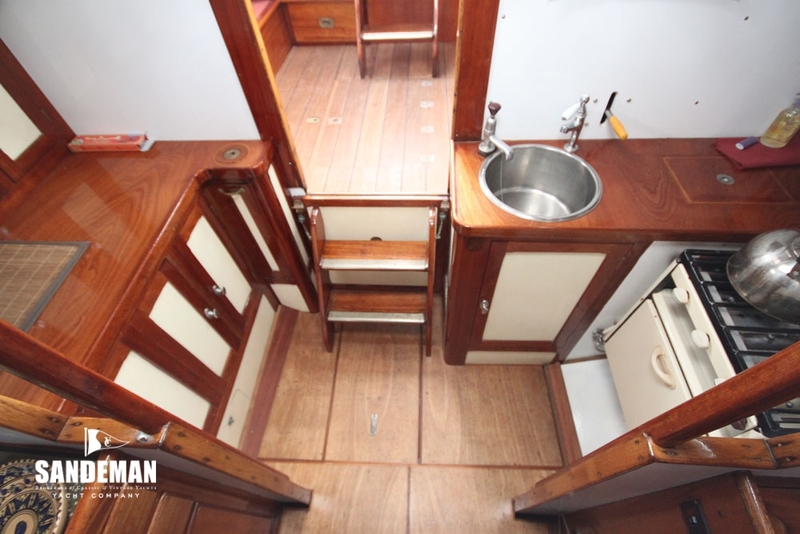 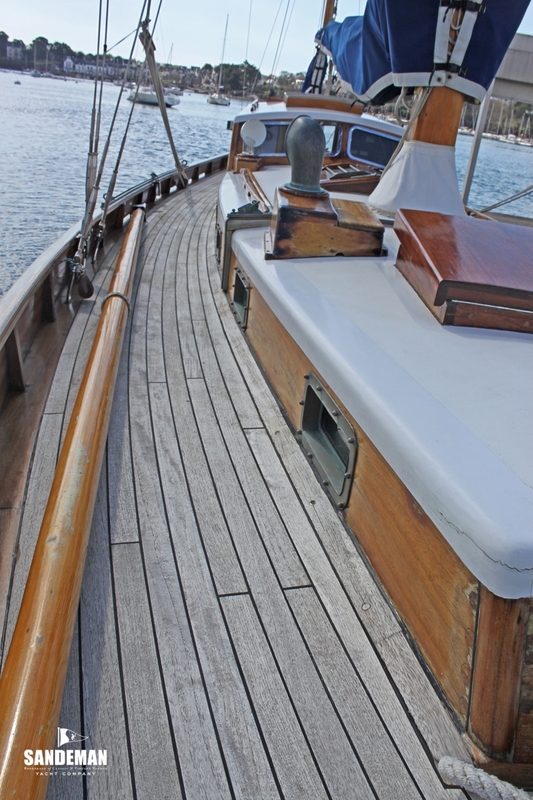 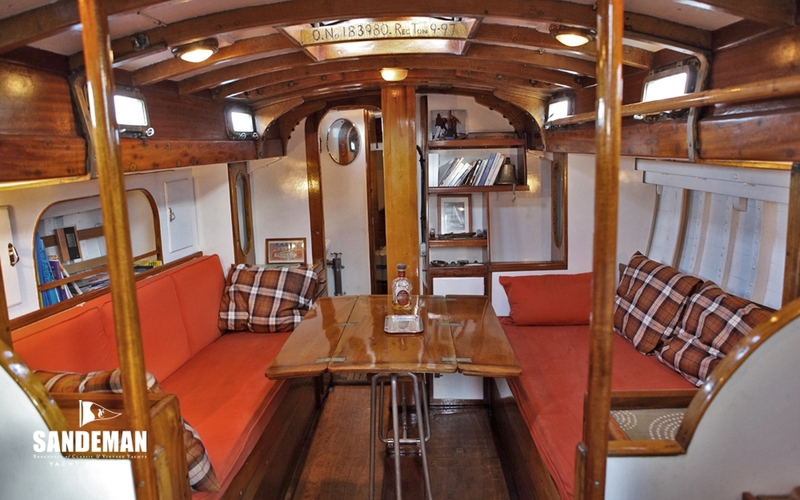 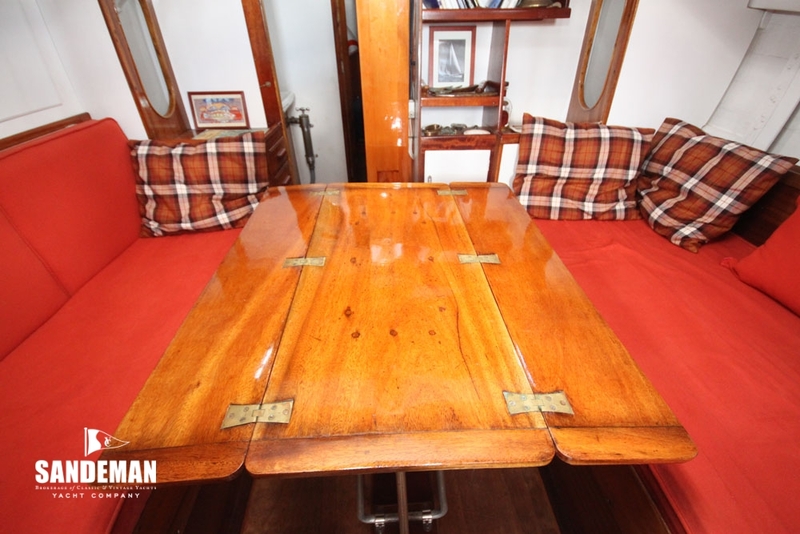 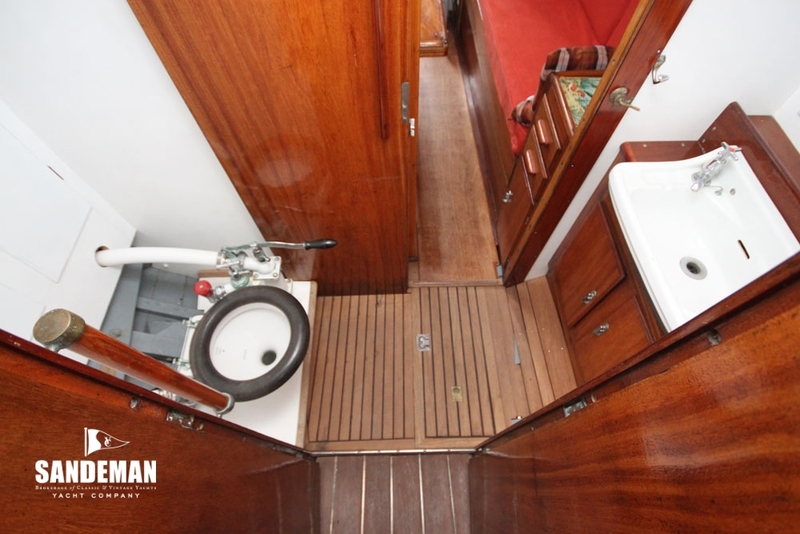 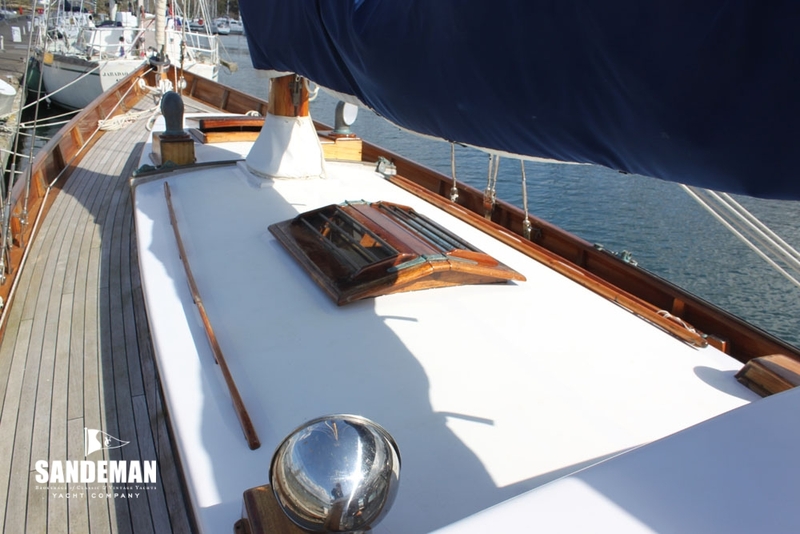 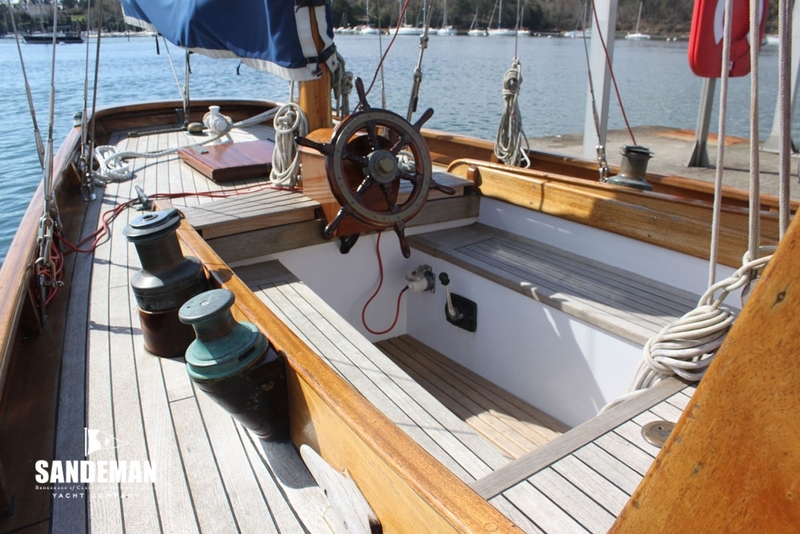 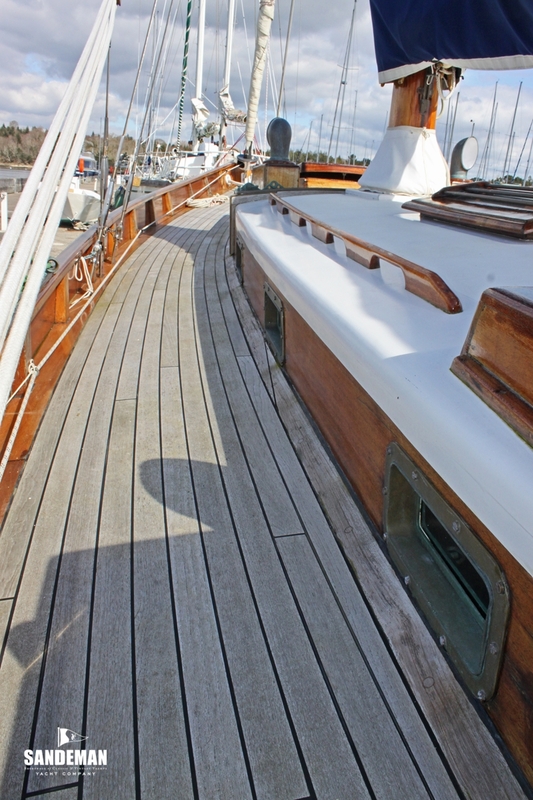 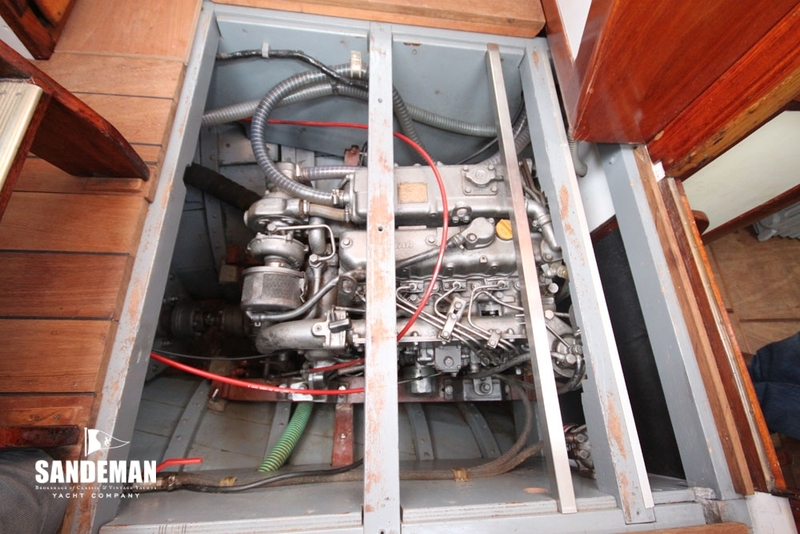 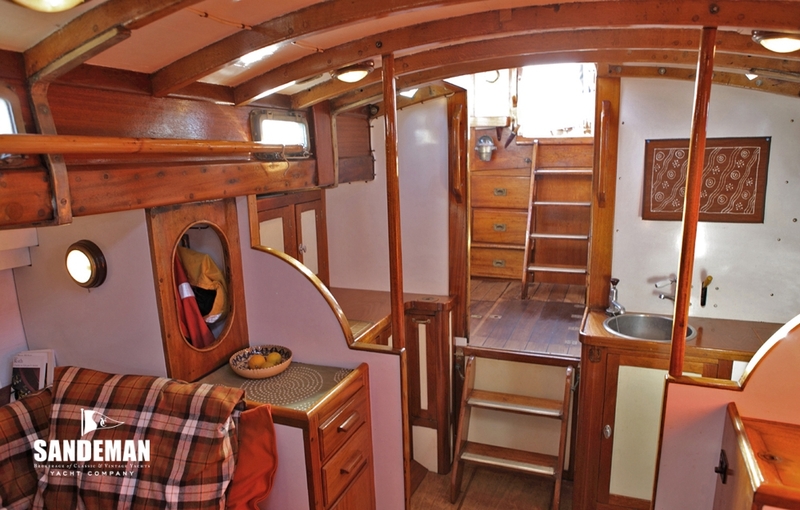 Her structure is impressive enough but it’s in the simple detailing and original fittings on deck and below that make this boat very special. 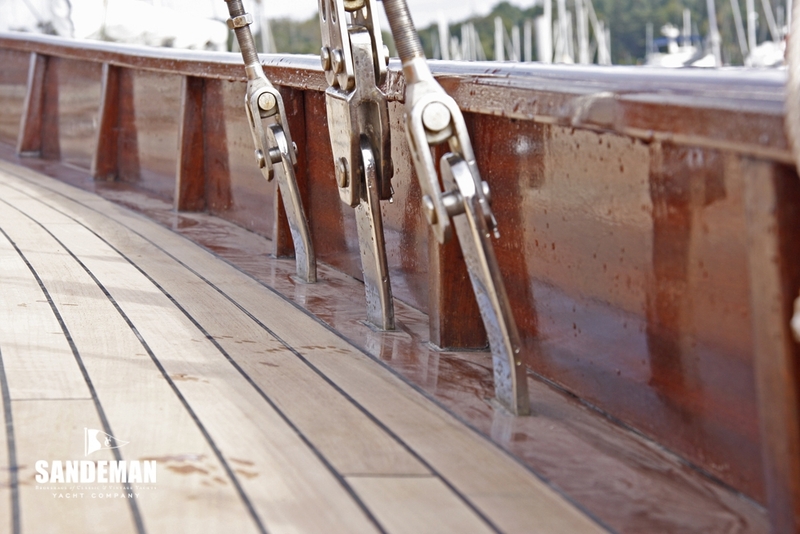 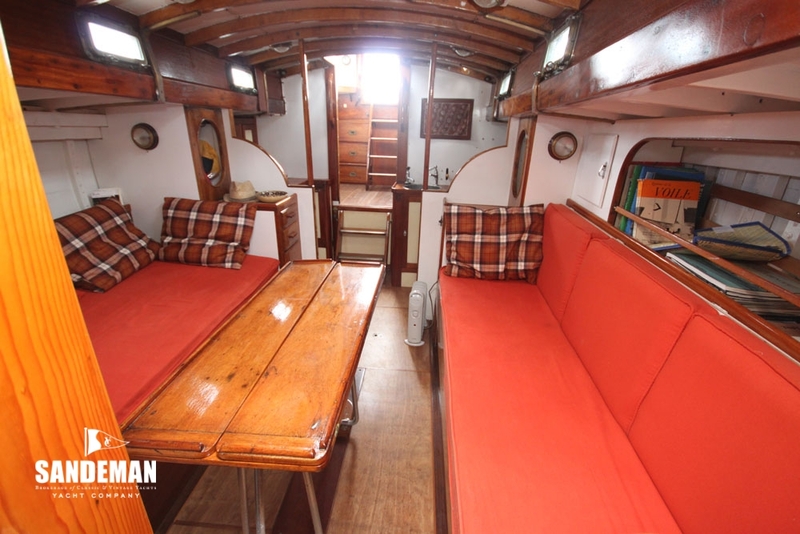 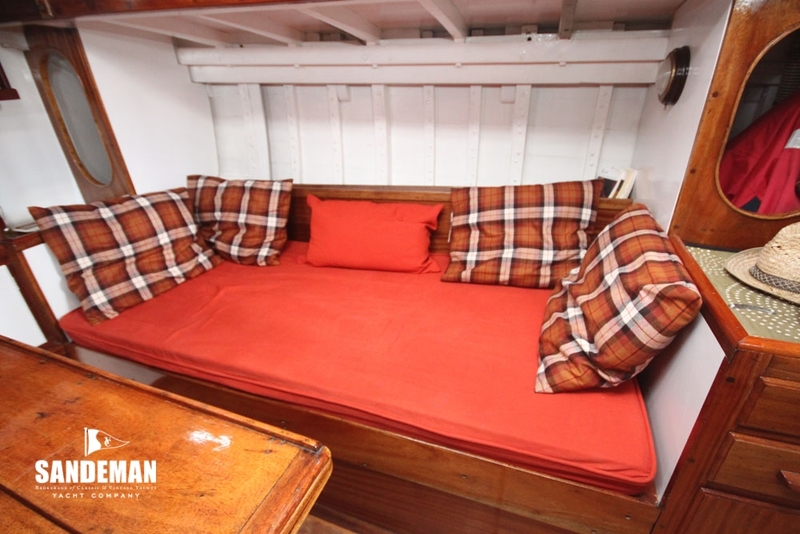 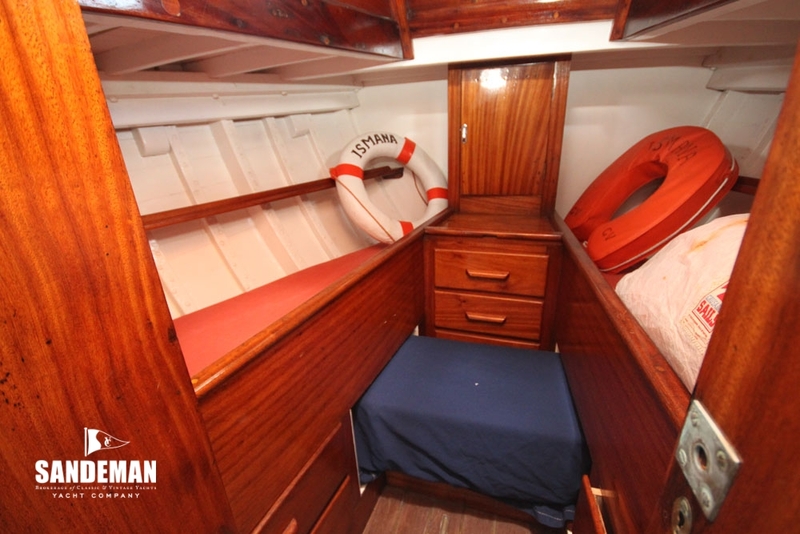 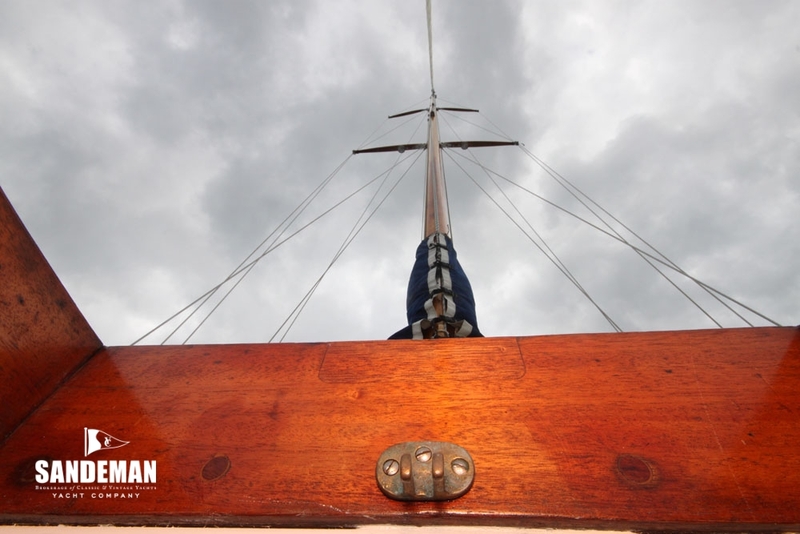 ISMANA has spent the past three seasons ashore and is now in need of a refit. 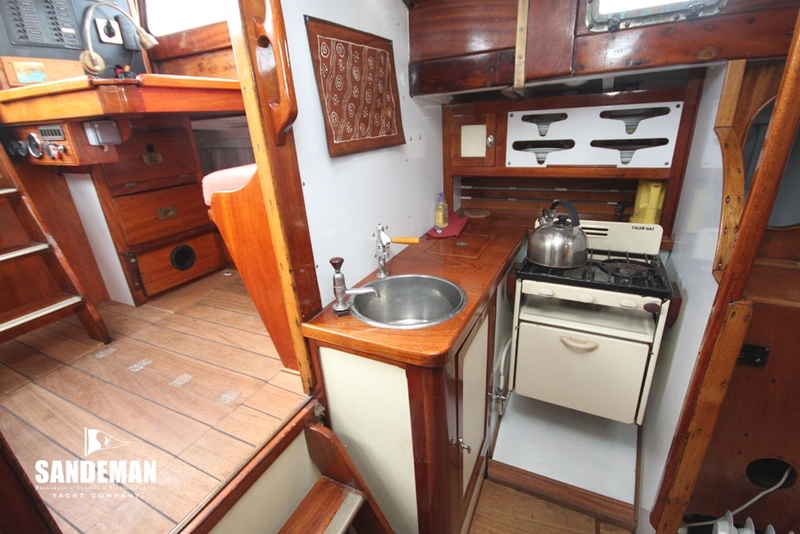 Bring sensible offers - you might be surprised. 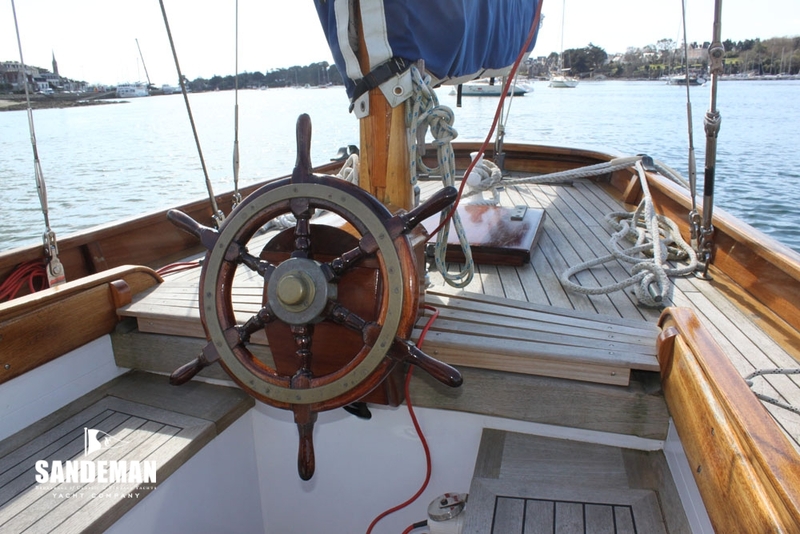 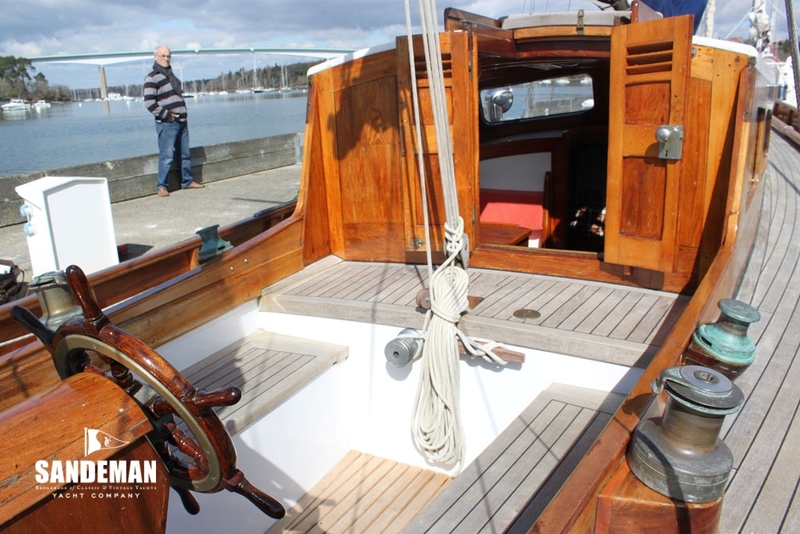 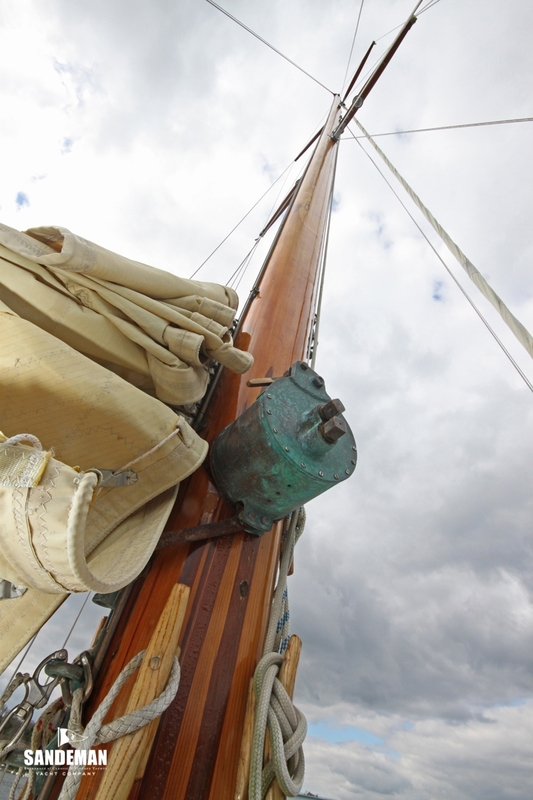 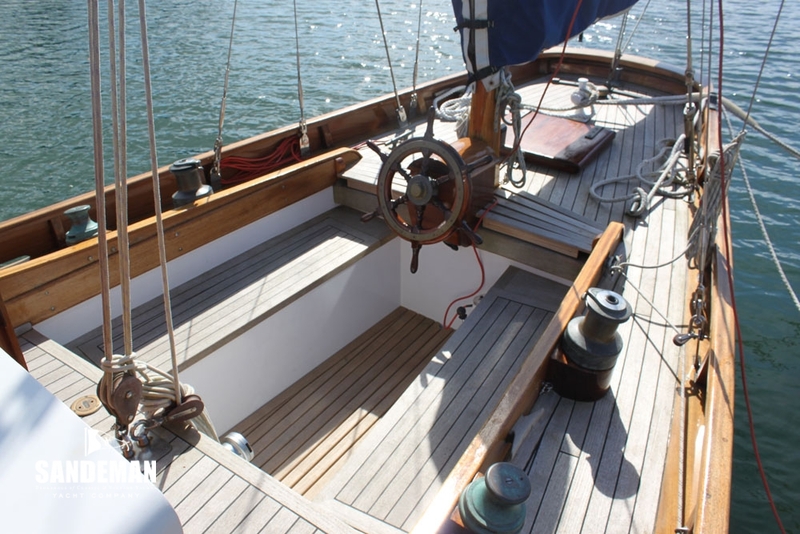 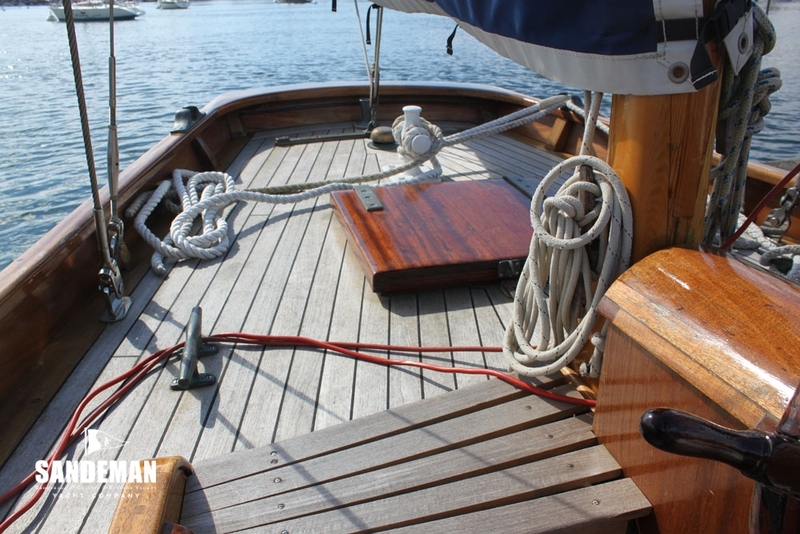 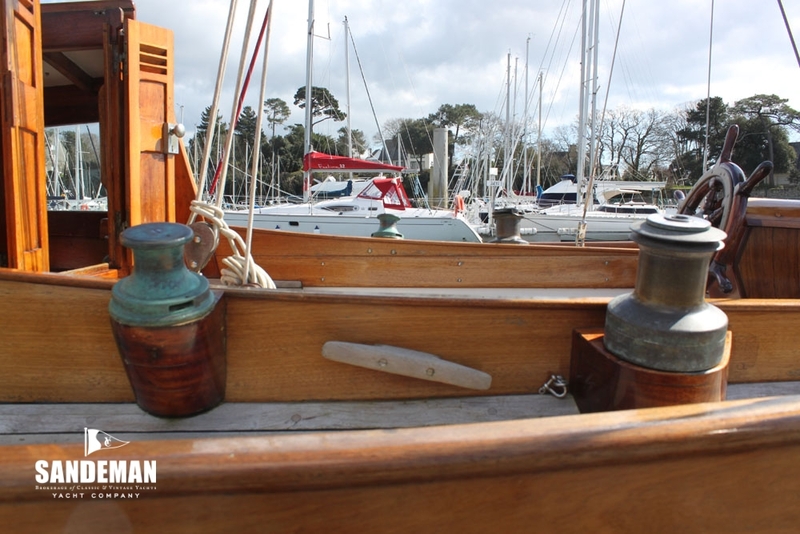 Originally designed in 1948 as a sloop and intended to be built in India, the design was then changed and she was built as a yawl by Sabberton Brothers in Wroxham (Norfolk) for the Sabbertons themselves and launched in 1951 under the name “MONOLEEN”. 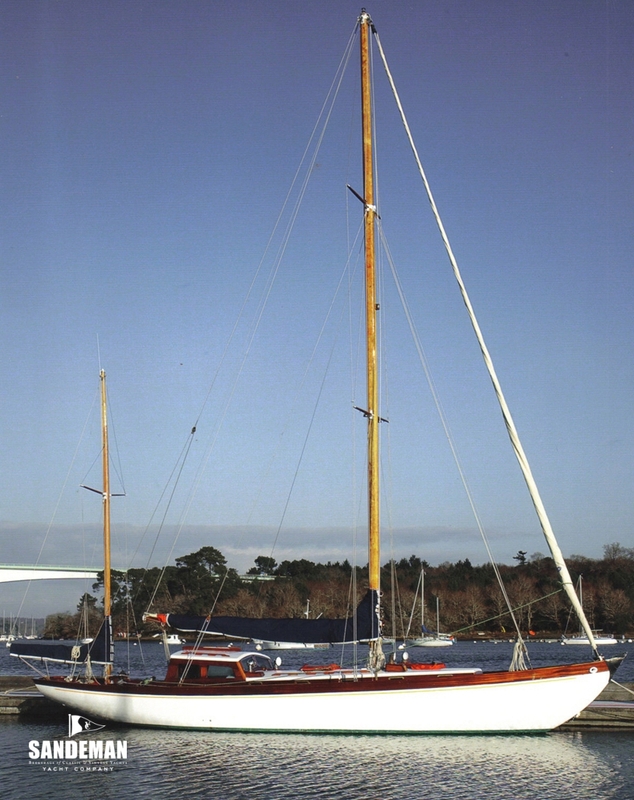 Bought 2 years later by J R Bryans; he increased the draft by 8 inches and raced her successfully in RORC events during the 50s and 60s as “CHEEMAUN”. 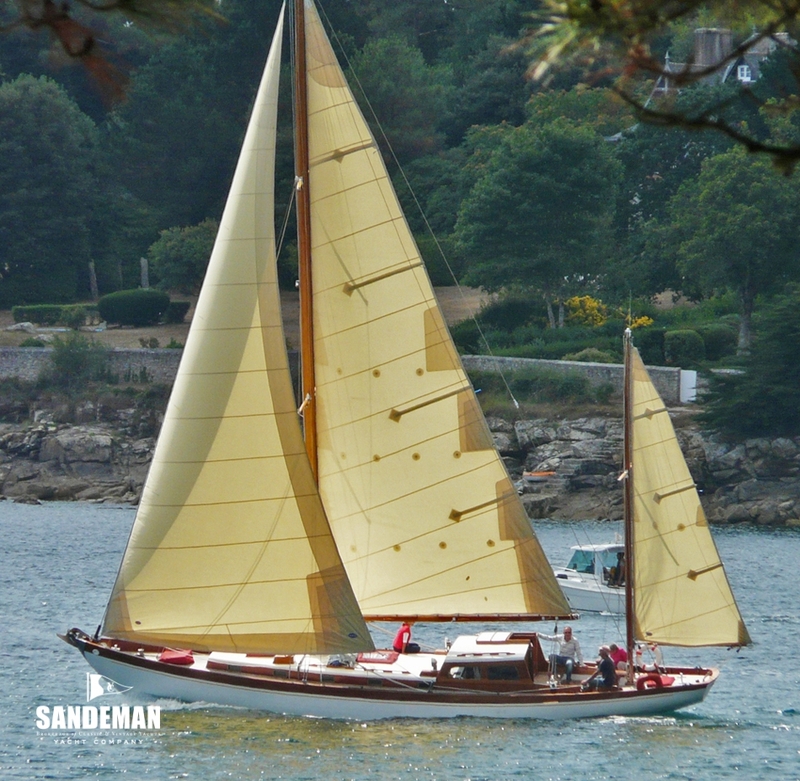 In the70s she sailed a lot in both British and French waters - in the hands of David Morrell for 4 years as “SOGNANTE” and finally as “ISMANA” with John Blair – writer of “Yachtmaster Offshore”. 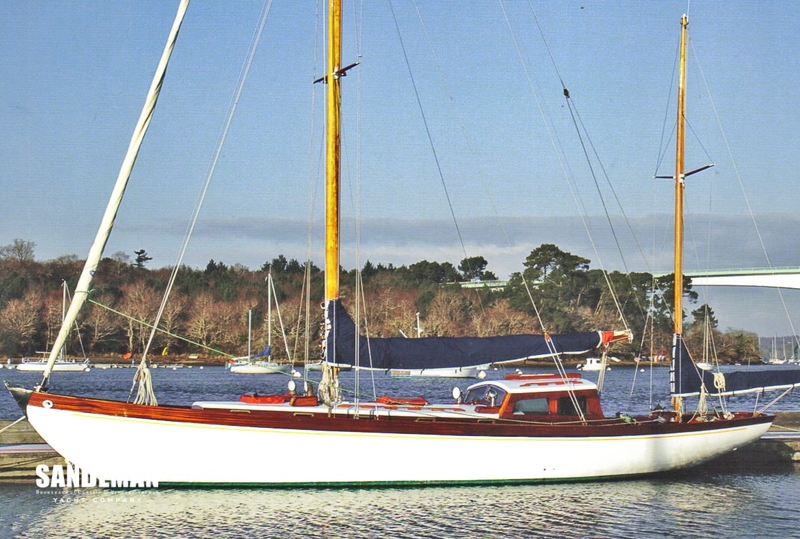 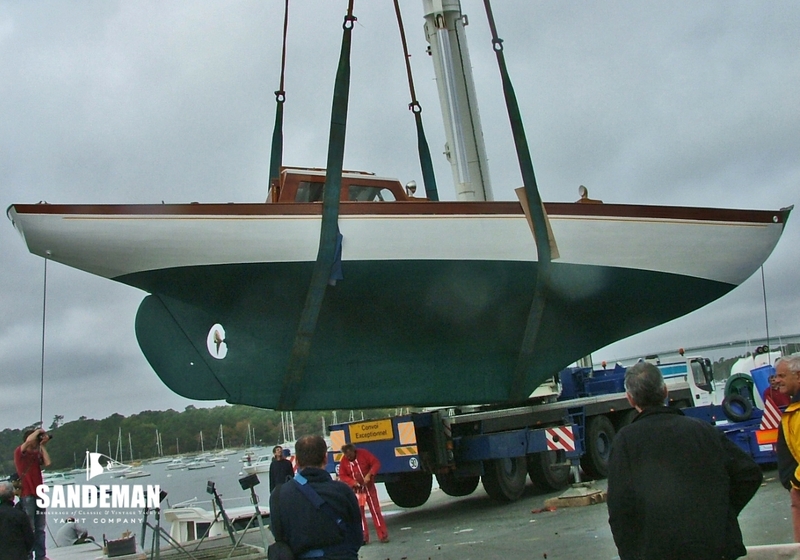 In 1989, the boat was bought by Dr Brocard a Frenchman, who refitted and sailed her to Greek waters where she stayed until 2003 before making her way back to Brittany, then to be bought by her present owner who undertook a major refit at the Hubert Stagnol boatyard in Bénodet. 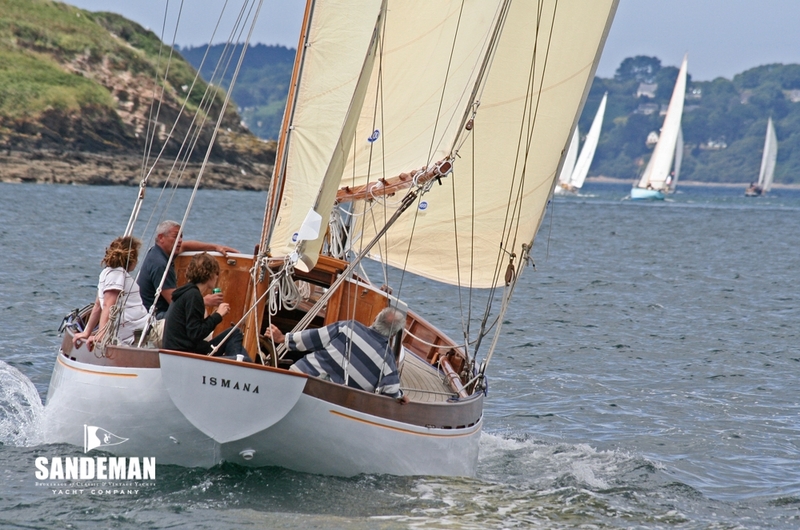 Back in the water from 2009, she has since taken part in classic events such as “La Belle Plaisance” 2010 and 2011, the “Brest Classic Week” and “La semaine du Golfe”. 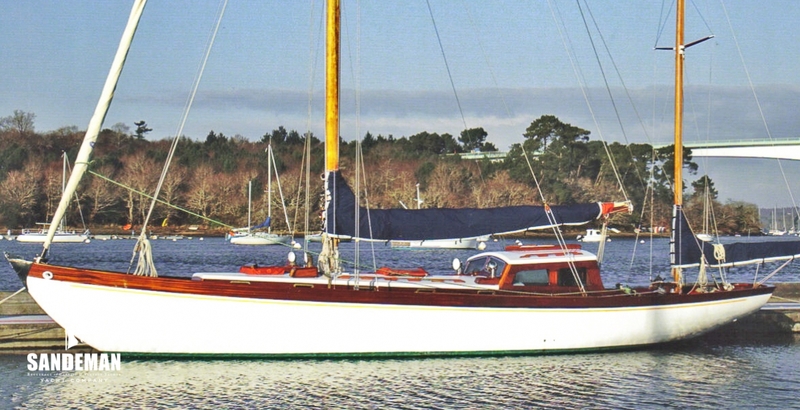 Twice, she has won the “Prix de la Restauration” at the Benodet and Brest events. 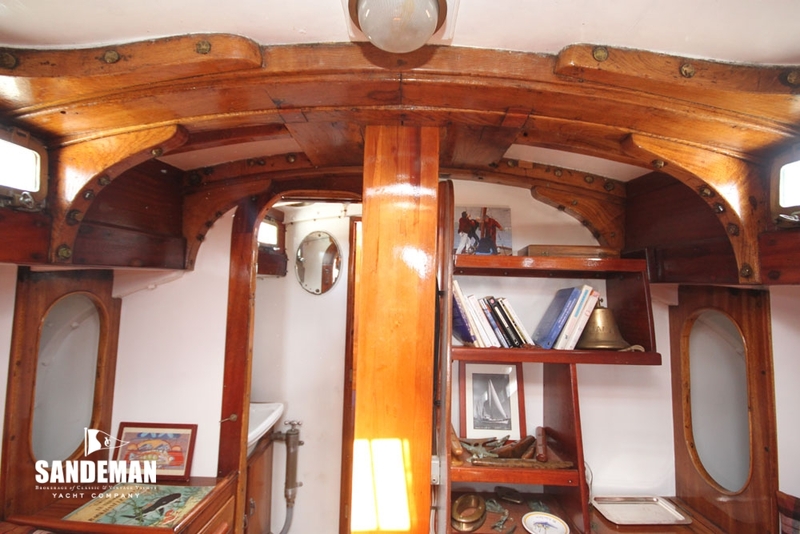 ISMANA has been classified as a “Bateau d’Intérêt Patrimonial”. 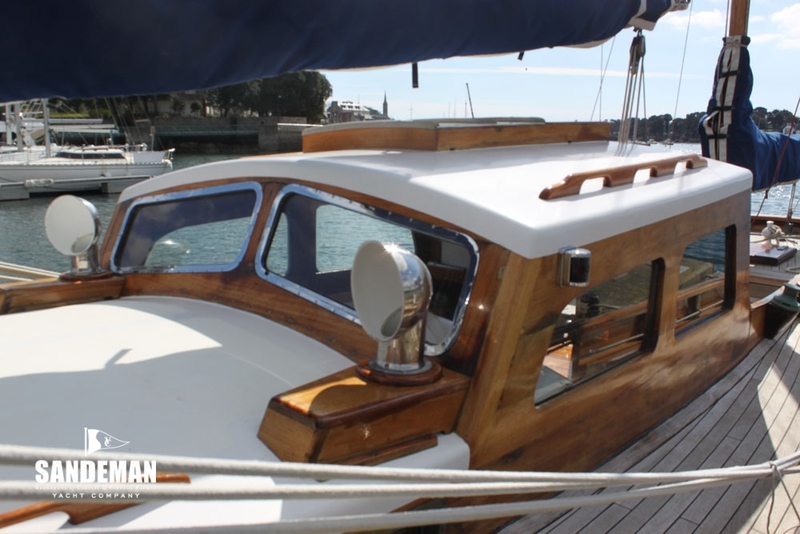 Every part of the interior has been meticulously restored and replaced as appropriate with great attention to the detail of the construction and the spirit of the Laurent Giles design. 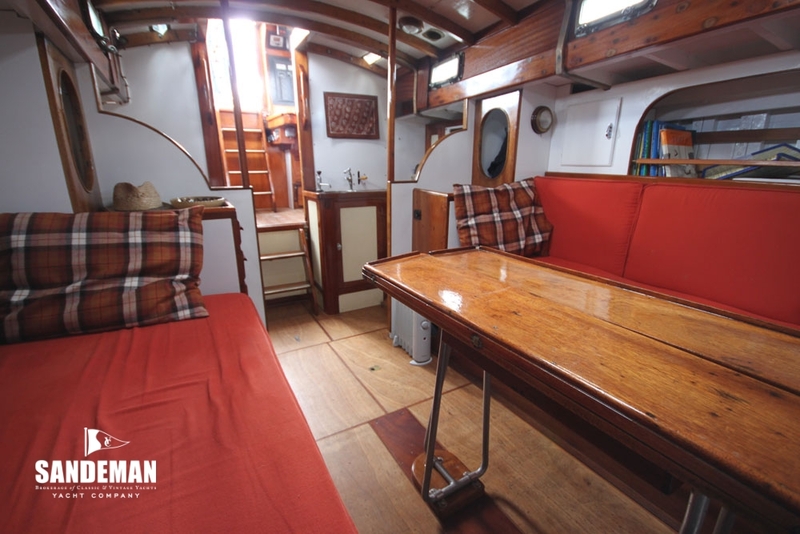 Overall accommodation for 7 is arranged as 1 single and 1 double berth in the saloon, 2 berths in the owners cabin forward and 2 pilot berths, one each side of the pilot cabin. 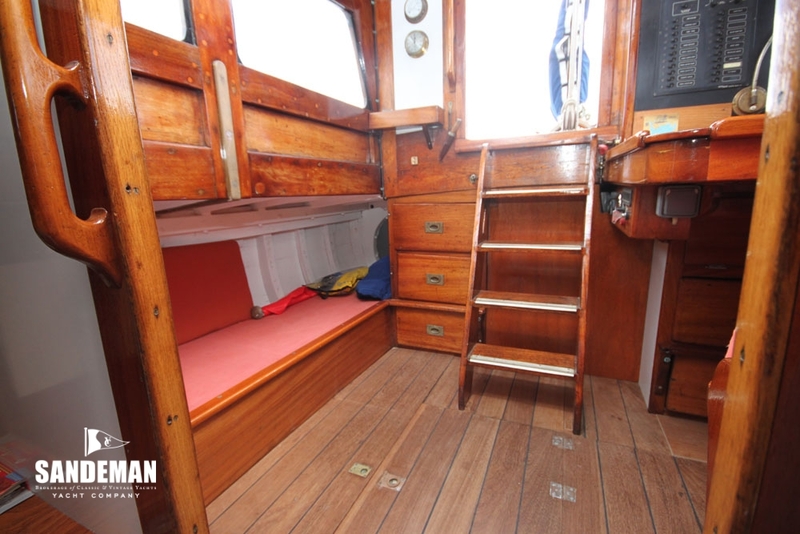 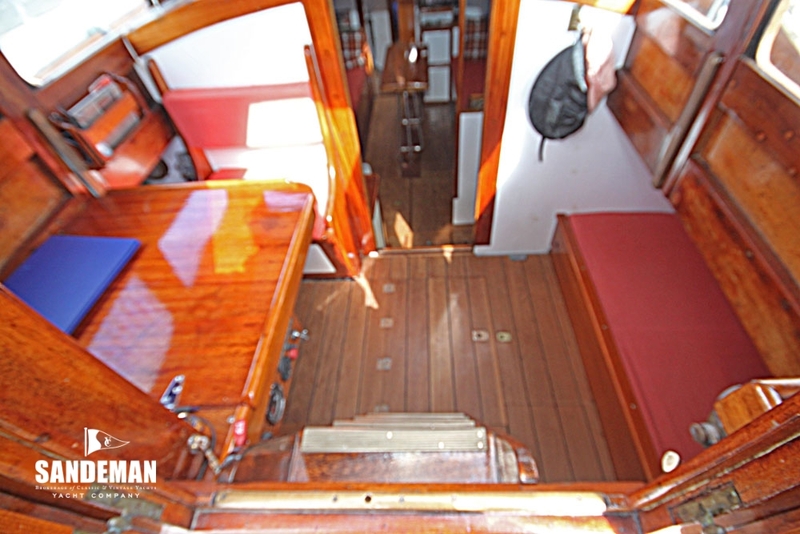 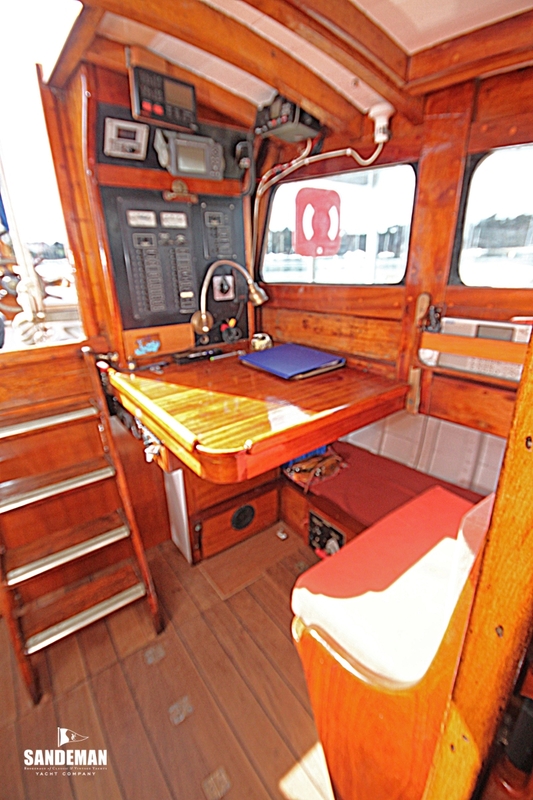 Bridge deck access is by doorway, hatch and companionway steps down into the doghouse.